The four-legged trailblazer earned fame for his battlefield heroism while attached to the Army’s 102nd Infantry Regiment, 26th (Yankee) Division, during World War I. 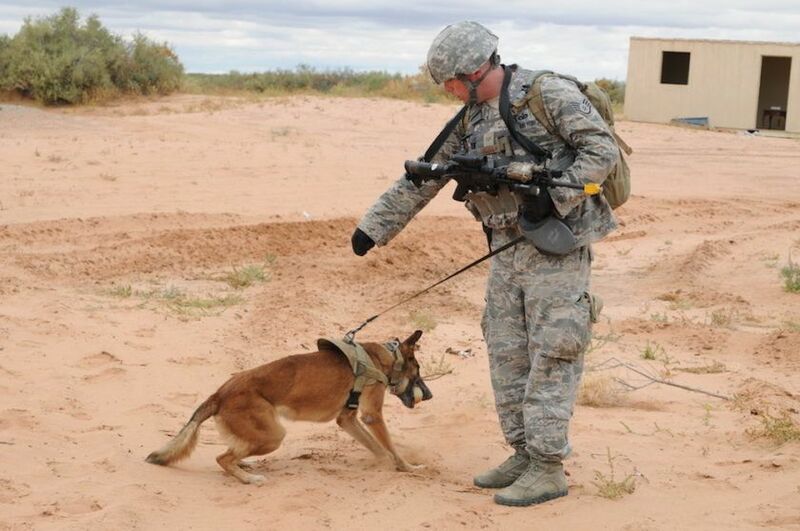 A stray at the time, Stubby met his best friend and handler, Cpl. Robert Conroy, during training in Virginia. Smuggling Stubby aboard the SS Minnesota in October 1917, the two set sail for France. On the battlefield, Stubby distinguished himself with the uncanny ability to detect incoming artillery, mustard gas, and even enemy soldiers. The war dog once latched onto a German infiltrator that was dressed as an American soldier. 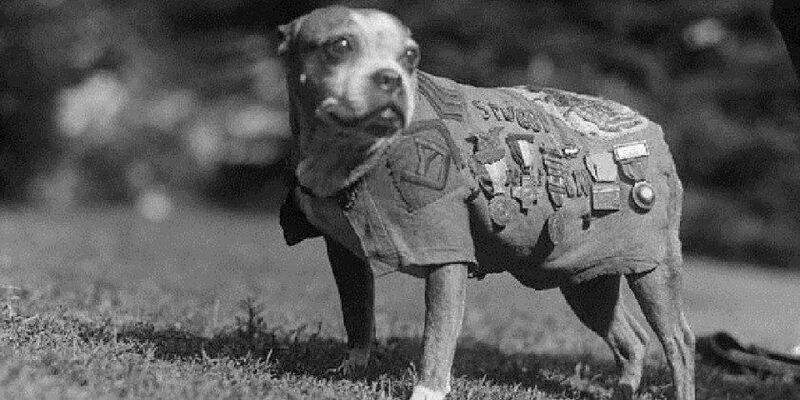 He was battle tested, even sustaining injuries in combat, but it was Stubby’s friendly demeanor among his fellow soldiers that endeared him to his unit. Sgt. Stubby visits the White House to call on President Calvin Coolidge in November 1924. 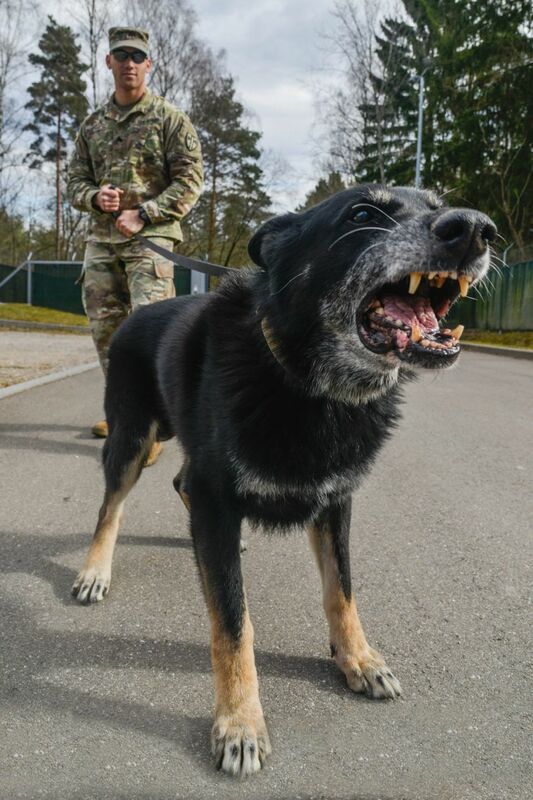 Tarzan, a German Shepard military working dog assigned to the 100th Military Working Dog Detachment practices controlled aggression with his handler, Sgt. Jessey E. Csech at the Panzer Kaserne military working dog compound near Boeblingen, Germany, Feb. 23, 2017. U.S. Air Force Staff Sgt. 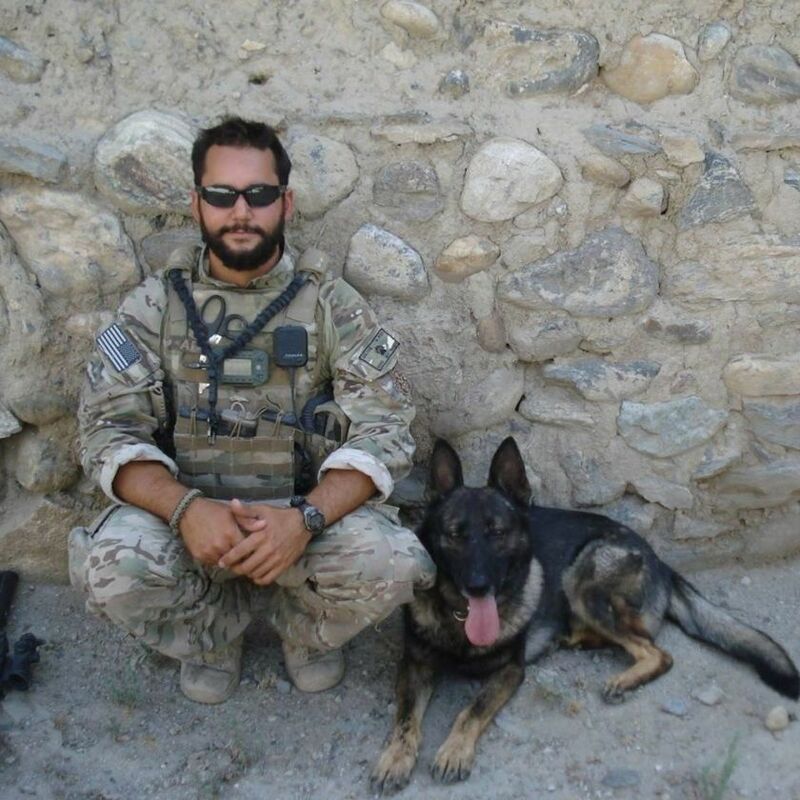 David Macdonald, dog handler, poses for a photo with military working dog Ali at Bagram Air Base, Afghanistan, in 2013. Pfc. 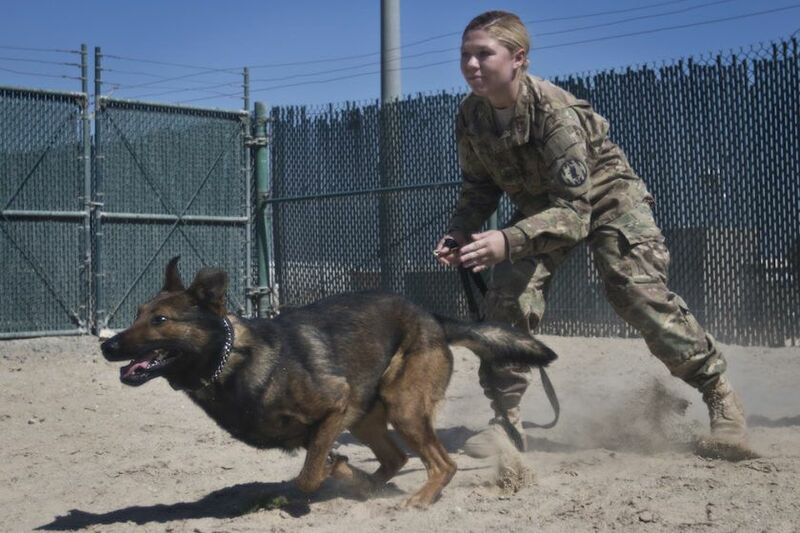 Heaven Southard, an Army military working dog handler with the Directorate of Emergency Services, Area Support Group - Kuwait, releases her military working dog “Jerry” during a demonstration of MWD capabilities at Camp Arifjan, Kuwait, on March 7, 2017. 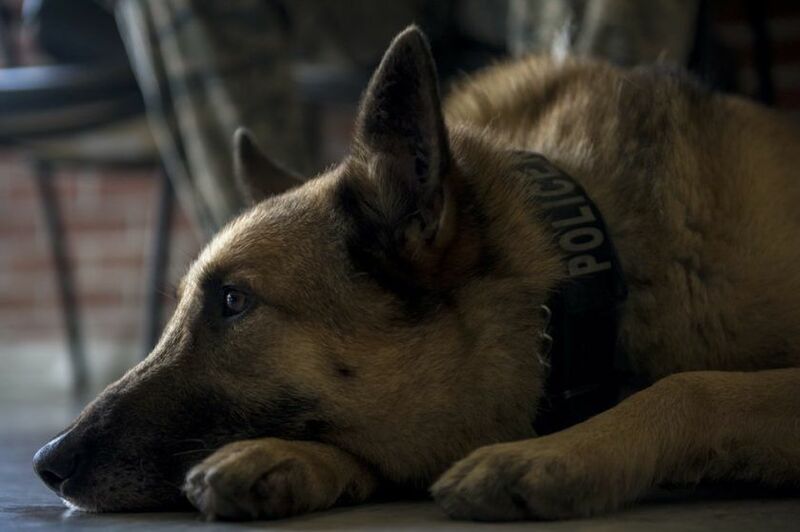 Elmo, 628th Security Forces military working dog, sits beside his handler Senior Airman Trey Weston, 628th Security Forces military working dog handler, before starting his workday, Joint Base Charleston, South Carolina, Aug. 17, 2016. Army Spc. 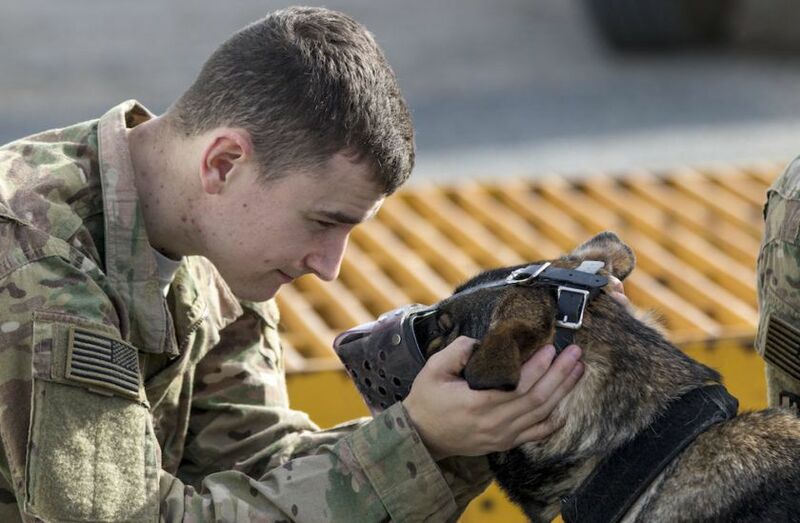 Ian Long, a military working dog handler from Fort Campbell, Kentucky, reassures Lara, his military working dog, while she is being examined by U.S. Army Central medical personnel Dec. 19, 2016 at Camp Arifjan, Kuwait. U.S. Air Force Staff Sgt. 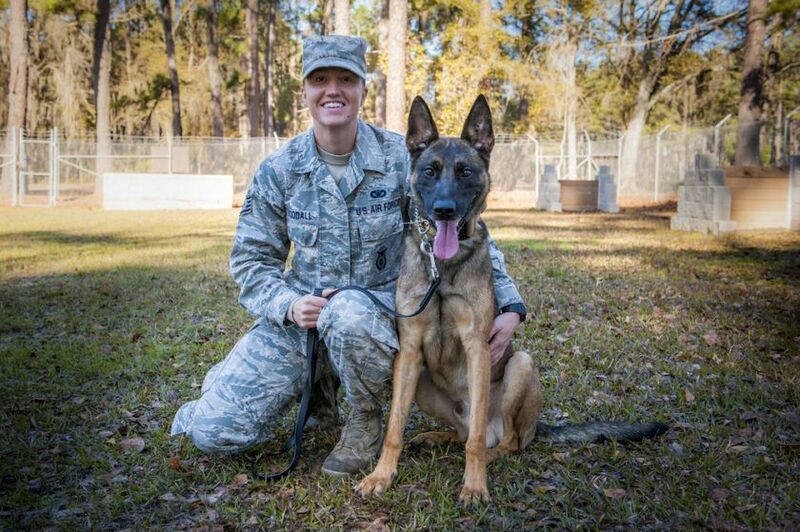 Jessica Woodall, 820th Base Defense Squadron military working dog handler, poses with her dog, Bak, Feb. 19, 2016, at Moody Air Force Base, Georgia. 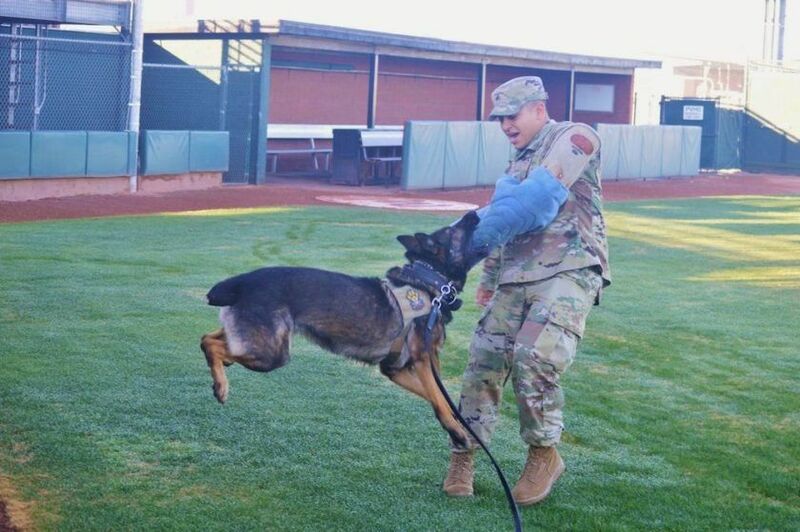 Joker, a 4-year-old military working dog assigned to Fort Rucker, Alabama, grabs hold of Sgt. 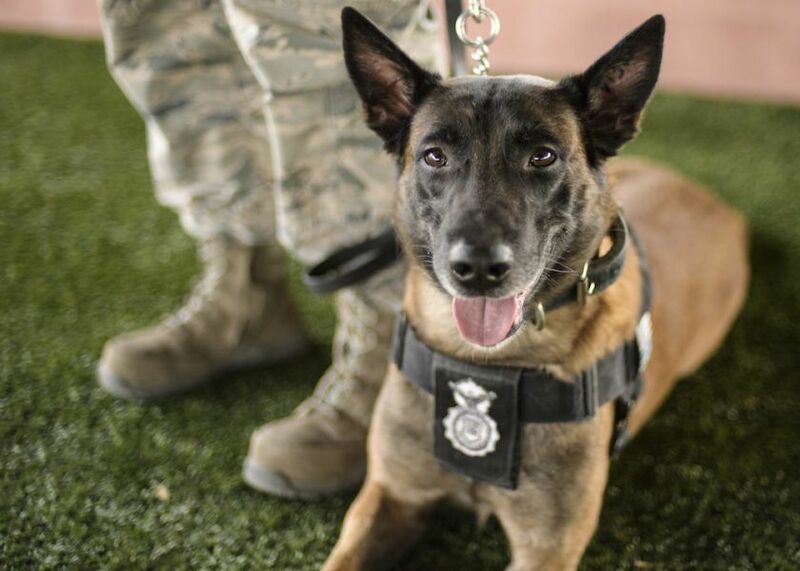 Oscar Rodriguez, military working dog handler, 483rd Working Dog Detachment, Fort Huachuca, Arizona, during a demonstration for students at Paradise Valley High School, Phoenix, Feb. 8. Lance Cpl. 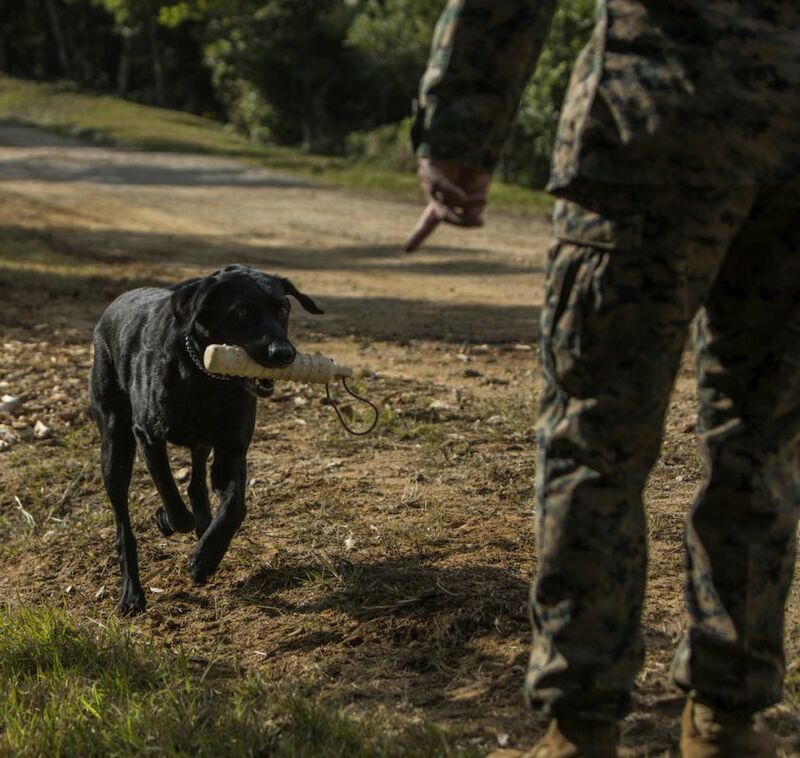 Joel A. Garcia runs a box search with his military working dog Raider at Combat Town, Okinawa, Japan, Jan. 24, 2017. U.S. Air Force Staff Sgt. Timothy Glover, 99th Security Forces Squadron, Nellis Air Force Base, Nevada, rewards his military working dog Prada for discovering hidden explosives by giving her a toy, Nov. 10, 2016. Jop, a military working dog with the 49th Security Forces Squadron, poses for the camera during a “play time” session at Holloman Air Force Base, New Mexico, on Dec. 7, 2016.
Who's a good boy? You're all very good boys.